The Babies played last night at the Black Lodge in Seattle to little fanfare, or at least not mine. I wish I could have gone, but alas the rest of my life got in the way. 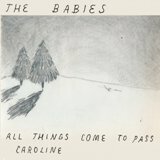 The Babies are Cassie Ramone of the Vivian Girls and Kevin Morby of Woods. The band have released two surprisingly great singles to date. 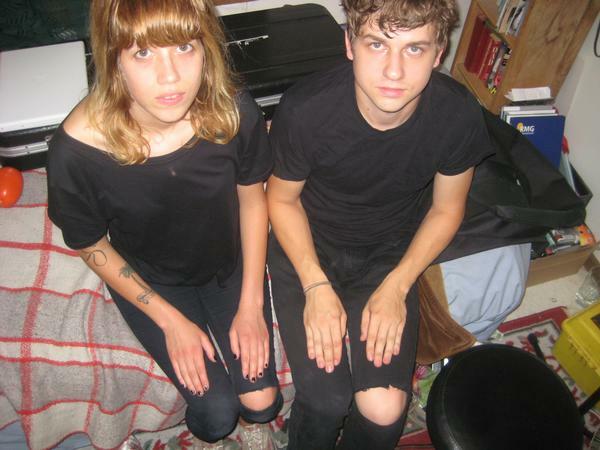 One on Make a Mess and the other on Vivian Girls’ label Wild World. The band are on a West coast swing as we speak and I’m guessing that they won’t be back any time soon. So if you get the chance go see them. I wish I could have last night. It feels like every time I click a link three’s a new lo-fi girl group that I’m smitten with. 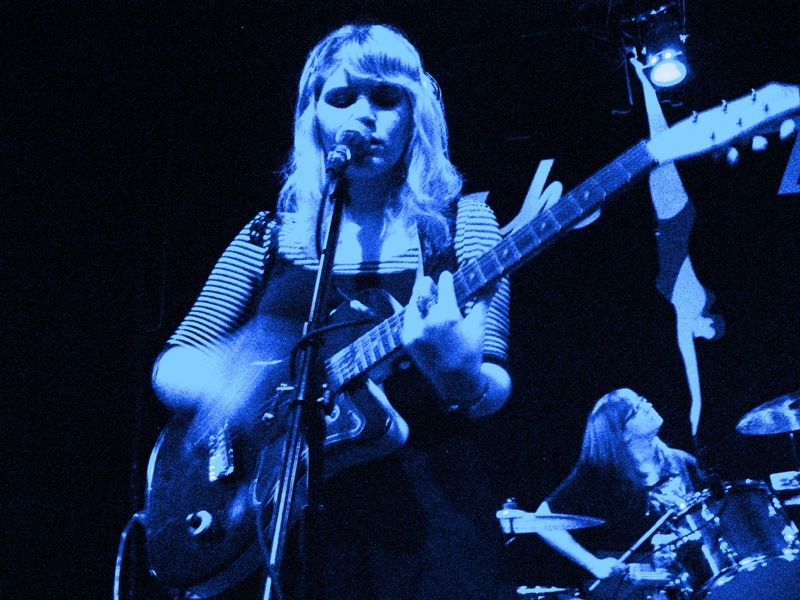 It all started back in 2008 with the Vivian Girls and their reverb-laden harmonies that brought back memories of the Shop Assistants and Black Tambourine. The Dum Dum Girls soon followed and grabbed everyone’s attention last year with their version of Phil Spector girl group who has a thing for the Jesus and Mary Chain. Just to prove that things move pretty fast these days, Best Coast appeared late last year firing off three quality 7 inch records that are good enough to almost make you forget about Vivans and Dum Dums. What makes Best Coast so good? There are the songs themselves with their aching hallucinogenic quality that seem to conjure sun bleached images of days gone by, but it’s Bethany Cosentino’s voice that carries it all home. She uses reverb like everybody else these days, but she doesn’t need it. Borrowing Vivian Girls drummer Ali Koehler Best Coast hit all the high points, and there are quite a few, of their four singles, they also played a few new songs from their upcoming album. One of them was called Crazy, or some variation, and as Cosentino repeated the chorus, I couldn’t help but think of Patsy Cline. Not because it sounded country or had twinkling piano in it, but because Cosentino’s voice sounded so good, transcending the lo-fi aesthetic that she’s chosen to drape the songs in for the time being. Cosentino’s foil in Best Coast is Bobb Bruno who plays a baritone guitar which they thought was stolen the night before in Vancouver, but later found after the gig. The band seemed quite bummed out by the loss of Bruno’s guitar and apologized more than once for not being able to deliver the full Best Coast sound. Bruno tried to replicate on his riff’s on a borrowed bass guitar form Katie of the Vivian Girls, doing his best Peter Hook imitation. He mostly persevered, but sometimes had to resort to playing tambourine. It really didn’t matter, Cosentino’s voice and songs were more than worthy of taking center stage and no apology was necessary. 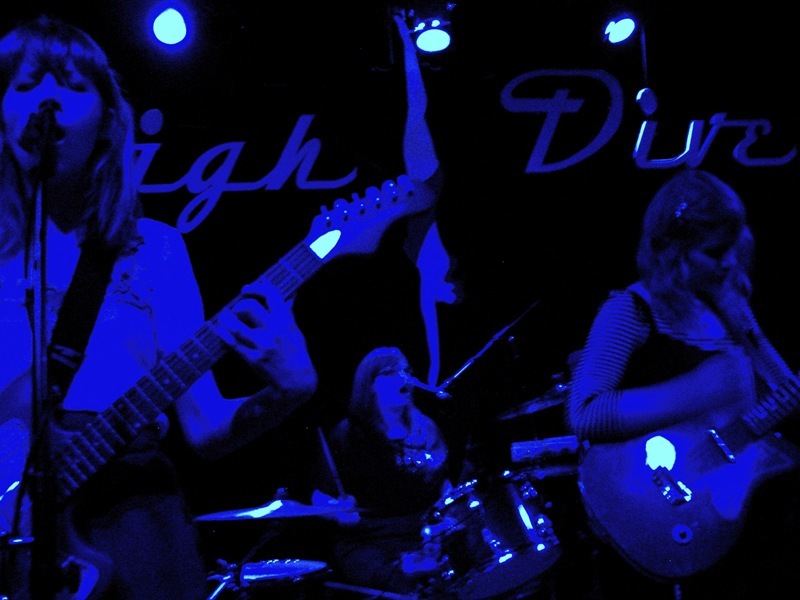 After Best Coast, the Vivian Girls had their work cut out for them. The two bands are cut from the same cloth, but where Best Coast’s melodies prevail, the Vivian Girls bury theirs beneath heavy bass and guitar. Sometimes I don’t even think that there is a melody to be buried. That wasn’t always the case. I think their first album could be considered a classic, but the set they played focused mostly on their newer material which is a bit more difficult. 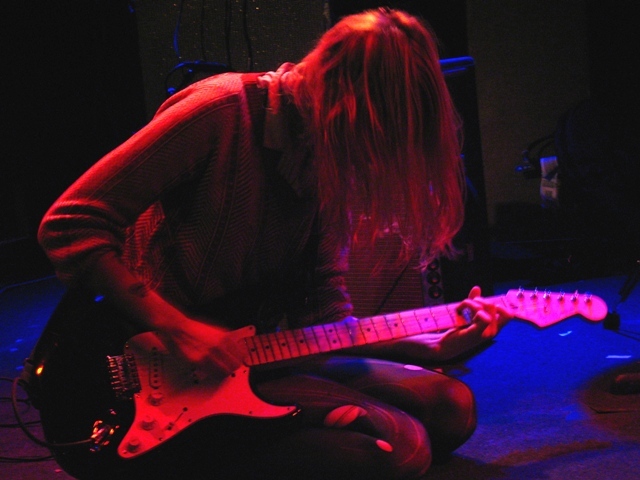 A lot of the songs seemed to blend into one another, with Katie’s bass dominating everything. We got a break from the drone when they put down their instruments and did their a capella cover of the Chantals‘ He’s Gone. It was a break, but not a very good one, especially when you compare it to the original. The set wasn’t a total bust, Lakehouse, Can’t Get Over You and Tell The World stood out, but it wasn’t their best. I worry that the band are struggling to come up with songs that match the magic of their debut and by focusing on their newer material it made that fact all the more painfully obvious. TacaocaT started the night off with their updated, more humorous version of riot grrrl, sprinkled with a little bit of Young Fresh Fellows. They played some new songs as well as old favorites Leotard, Dry Land Is a Myth (the Kevin Costner song), Volcano and Basement, an ode to their ‘condo’. Great fun even if they didn’t play Peeps, which Katie from Vivian Girls kept shouting for. If you haven’t heard their album Shame Spiral, do yourself a favor and get on over to their label Don’t Stop Believin’ and order yourself up a copy. Starting off the night night to a few curious onlookers, the Bay Area’s Nodzzz started their set by hurling insults at the sound guy, complaining that they couldn’t drink on stage (this was a recurring theme throughout the night) and attempting to play a bass that was out of tune. It was a recipe for disaster, but the trio dumped the bass and picked up another guitar and promptly began their noisy bone-ratteling set of kiwi pop influenced garage rock. Both guitarists trading vocals back and forth on thier short catchy songs made for a super fun set that won me over after the first song. 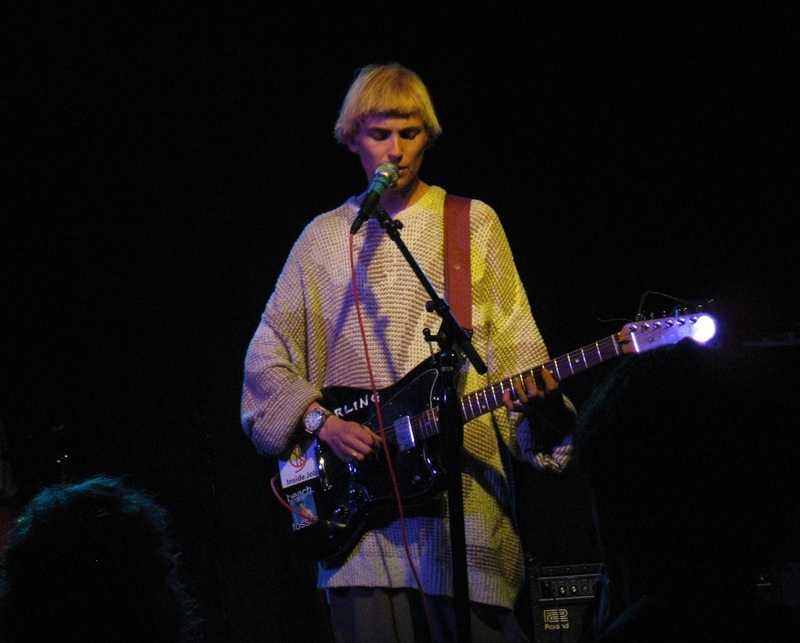 I’m glad there are so many bands that are carrying the torch of Flying Nun these days with likes of the Box Elders, Surf City and the Nodzz it seems that finally the influence of that little scene from the 80’s is finally starting to get some attention! The band have just released their first album, vinyl only that is well worth picking up. 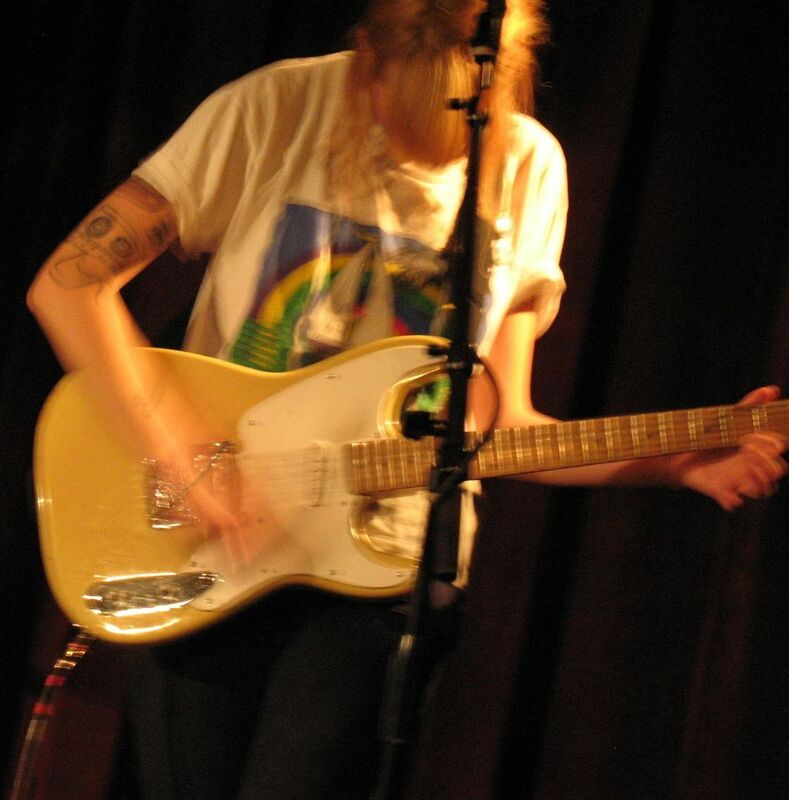 Back in May of this year the Vivian Girls played to a handful of punters at the Funhouse here in Seattle. That night, the Girls seemed a bit nervous as they waited on stage as the sound guy fiddled with the reverb. The songs were played really fast with Katie and then drummer Frankie switching instruments mid set. It was over nearly as soon as it began. What a difference a few months make. The Vivian Girls are darlings of the press, beguiling people with their combined love of punk rock , Shangri-Las fatalism and C-86 aesthetics. By the time Vivian Girls hit the stage the place was full with everyone anxiously waiting to see if they would live up to the hype. With the reverb and sound stuff worked out in advance this time, the Vivian Girls started their set to the smell of watermelon bubblegum. Apparently the sound guy that the Nodzzz were berating likes to chew watermelon gum and the smell was overpowering. Someone next to me offered the girls a piece but they confessed to not being able to chew gum and sing at the same time. I heard someone say “I like them already”. Me too I thought, but more because they’ve put out a great album and a slew of really good singles. The pace of the songs was more measured last night. This allowed Cassie’s guitar solos to really shined through. The band’s original drummer Frankie left to join the Crystal Stilts a few month back and her harmonies were missed a little, but new drummer Ali didn’t miss a beat and bassist Katie took over the harmonies that Frankie provided last time around. My only complaint about the set was that they left out a couple of my favourite songs. The excellent Where Do You Run and the equally good My Baby Wants Me Dead didn’t get played. We did get a couple new ones though, both from their new single (just released) one of which was a cover of the Beach Boys’ Girl Don’t Tell Me. It reminded me of the Heartworms (Archie Moore of Velocity Girl) doing the same song on their Space Escapade album back in 1995. Good songs which the Vivian Girls have in spades don’t go out of style. You can get their brand new single, the one with the Beach Boys cover which comes with a t-shirt and a badge direct from the band. With all the exitement of the Nodzzz and Vivian Girls it was easy to forget that Sweden’s Love is All were actually the headliners last night. I’ve said this before about certain 80’s revivalists, I have a hard time getting into bands resurrecting the sounds of marginal bands from that time period. When it comes to Love is All I can’t get Oingo Boingo and Altered Images out of my head. 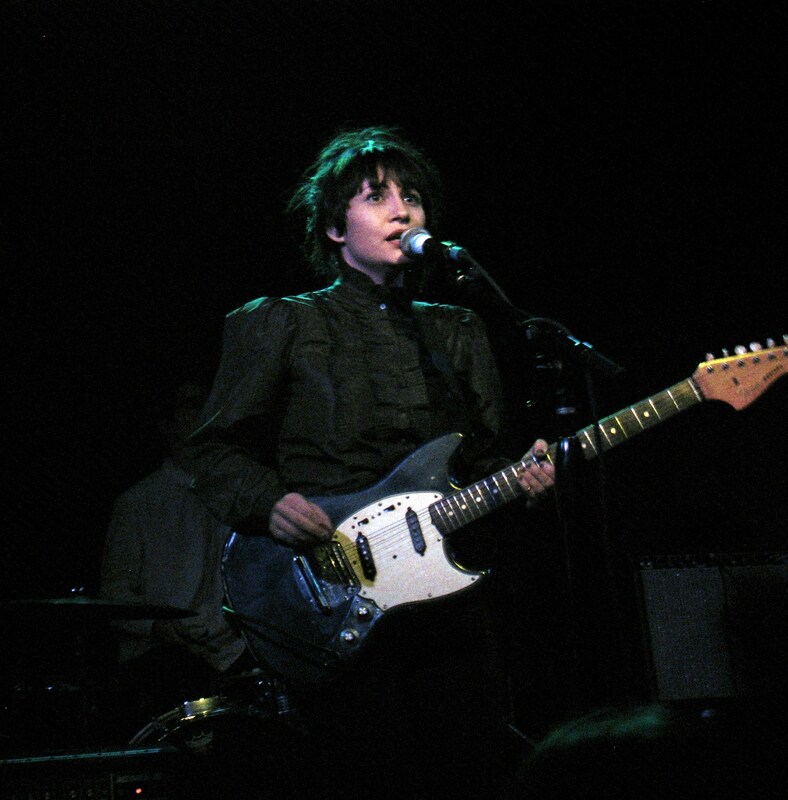 There seem to be sounds that never go out of style, at least to me, as is evidenced in me liking the Nodzzz and Vivian Girls, but Love is All have this hyper spastic thing going that seems to be derrived from the (English) Beat’s March of the Swivleheads. It’s fun and you can dance to it, but it starts to sound the same and becomes a bit much after a while. 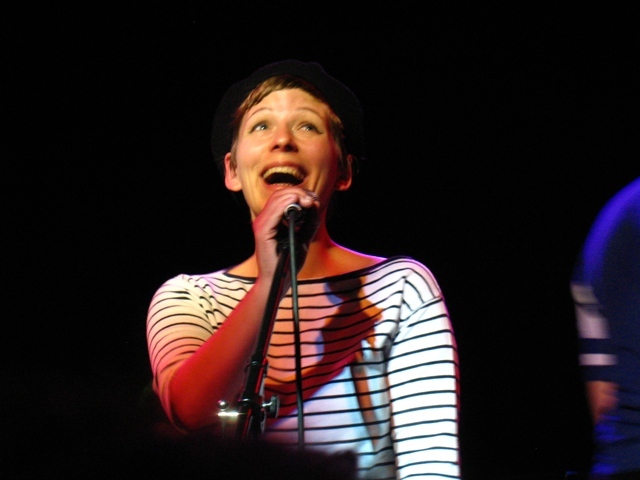 Singer Josephine Olausson was a ball of energy and funny too. At one point she wanted to see if the mic chord could reach off stage so that she could have a drink (since you can’t drink on stage in puritan Seattle). She was successfull much to the delight of her bandmates and the audience. Their cover of Flock of Seagulls’ I Ran was, how shall I say it, a bit much though. They were also selling a 12″ that contained that Flock of Seagulls song as well as 4 other covers including Prince’s Darling Nikki. Love is All were fun, but not really my thing. A bunch more photos from the night are over at my flickr page. Black Tambourine was, in hindsight a kind of indiepop super group. At the time they existed they were just a bunch of anonymous kids in Washington, DC. The band counted as members Archie Moore and Brian Nelson who both went on to Velocity Girl, Pam Berry who went on to be in the Belmondo, Gloworm, Shapiros, Castaway Stones, and the Pines (wow, she’s been in a lot of bands). She also co-founded Chickfactor magazine with Gail O’Hara, and she had the honor of having a Shins song named after here. Mike Shulman, the drummer went on to play in Whorl and found Slumberland records. 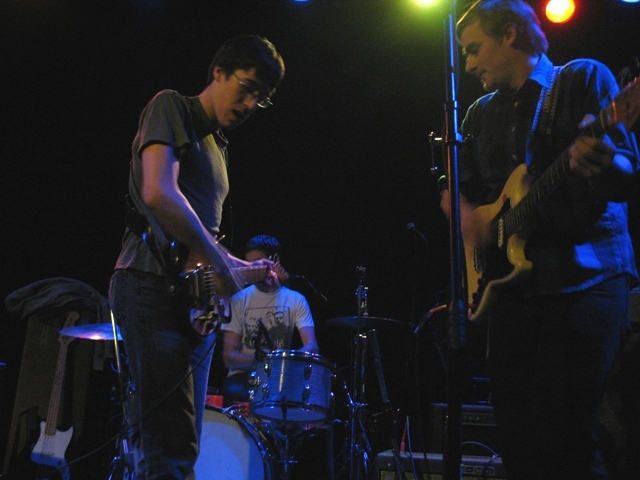 The band are credited with being one of the first to employ a combination of C-86 and British dream pop in their sound that so many other American indie bands would mine as well. They managed to be influential without actually releasing an album. All of their output is compiled in one place and still available on a Slumberland cd called Complete Recordings. The Vivian Girls sound like they are direct descendants of Black Tambourine channeling the sounds of the Shop Assistants and holding dear the Motown girl groups and the Phil Spector wall of sound. Currently they seem to be one of the it bands residing in the New York City environs. 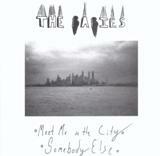 They are at the center of a scene that includes like minded NYC bands the Crystal Stilts and The Pains of Being Pure at Heart. Being an it band, doesn’t mean they’re huge, but they have created a buzz among music geeks. 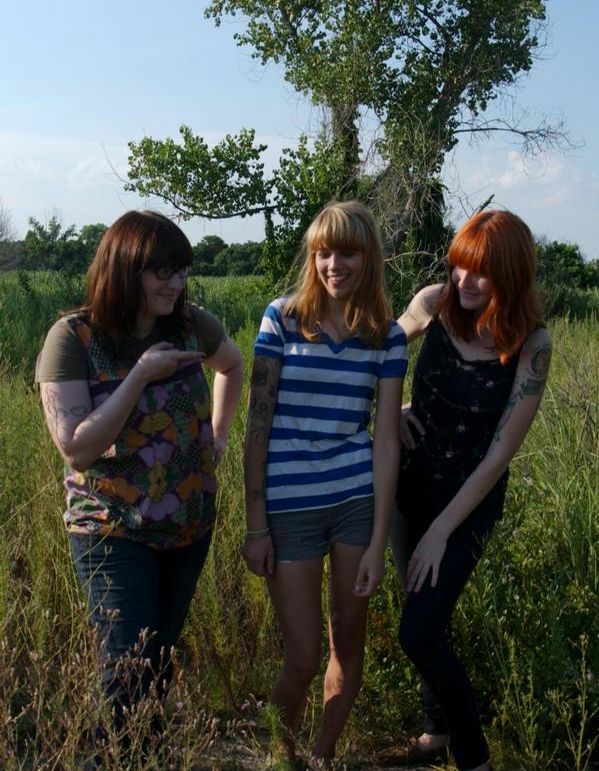 Mention the Vivian Girls to your mom and she’ll look at you cross eyed. It’s not like telling her about the Fleet Foxes, who’s she’s probably heard of, at least if your mom lives in Seattle. So the Vivian Girls have a lot of buzz an album that’s currently out of print and a few singles.. Their out of print album will be reissued on vinyl and compact disc this fall courtesy of In the Red. In the meantime you can buy some of their singles over at their myspace. I’m not sure what’s going on over in Brooklyn these days, but with the Crystal Stilts,the Vivian Girls and Pains of Being Pure at Heart it seems like a full on C-86 revival over there in New Amsterdam. The Vivian Girls who seem like the perfect combination of Shop Assistants indie pop, Lush attitude and guitar chops, and Undertones pop sensibilities brought their brand of blissed out pop to Seattle on Sunday night. The Vivian Girls have caught my fancy with a punk ethos, cool name (Go rent In the Realms of the Unreal) and even better songs, so I had been looking forward to this show for quite a while. With a couple seven inch singles and a sold out debut album under their belts, they seem to gaining momentum and following. Not to worry for those of us late to the party, that sold out album will get reissued this fall on In The Red on both vinyl and cd. Mark your calendars. Even though the album is sold out (only 500 pressed), these girls are pretty much unknown at this point. They seem like an unassuming bunch and kept a positive outlook when the sound guy was having a little trouble getting the reverb just right on the vocals, so the trio stood around on stage made nervous small talk while the sound guy looked for the right button. With the reverb finally worked out they dove into their quick and too short eight song set. They seemed a bit nervous and in a hurry, but it was completely unwarranted. Their sharp harmonies and and catchy melodies won me and everyone else over with ease. The lead vocals were all handled by Cassie who also plays guitar, with most of the harmonies sung by drummer Frankie though Katy (bassist) did get her share as well. Eight songs in about 20 minutes, it was short but really, really good. Hopefully they’ll be back again once the album gets reissued, and play a little longer. More photos and set list over at my flickr.